29020 place | Vector illustration in rank M-rank: Light Orange vector texture with colored lines. Shining colored illustration with sharp stripes. Template for your beautiful backgrounds. 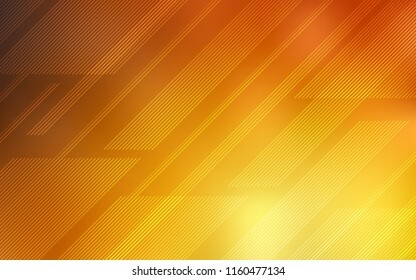 Light Orange vector texture with colored lines. Shining colored illustration with sharp stripes. Template for your beautiful backgrounds.